The average price for this game in the past 6 months is $10.00. The game first became 50% off on Feb 9, 2015 at Best Buy. Lowest historic price was $8 on Sep 13, 2016 at Microsoft. Brand new copy of LEGO Batman 3: Beyond Gotham only ten bucks at the Microsoft Store. Free shipping. New low by $5. Xbox One version only. The average price for this game in the past 6 months is $11.74. The game first became 50% off on Aug 17, 2015 at GamersGate. Lowest historic price was $11.24 on Aug 15, 2017 at Fanatical. The average price for this game in the past 6 months is $5.99. The game first became 50% off on Feb 9, 2015 at Best Buy. Lowest historic price was $5.99 on Dec 11, 2018 at PlayStation Store. New low on LEGO Batman 3: Beyond Gotham today at Best Buy. They've slashed $20 off the list price for all available platforms. Next gen consoles drop to $30, while the Xbox 360, PS3, and Wii U price is $20. Great price on LEGO Batman 3: Beyond Gotham today at Amazon. 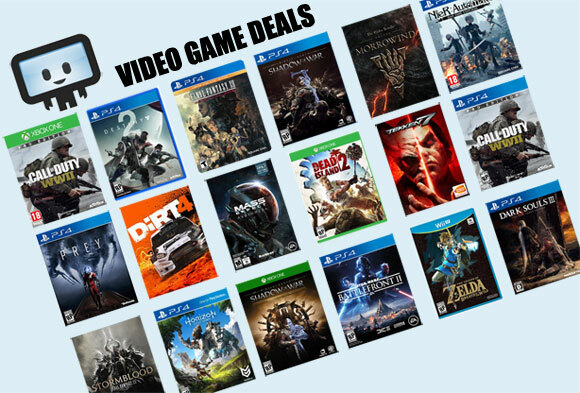 They've dropped $20 off the list price for next gen consoles, while $10 off on PS3. Not bad for a month-old release. The average price for this game in the past 6 months is $4.75. The game first became 50% off on Nov 5, 2012 at Amazon. Lowest historic price was $2.63 on Feb 2, 2016 at FunStock Digital. New low o LEGO Batman 2: DC Super Heroes at GMG. This weekend they gave it a 75% off instant savings discount and a stacking 25% off coupon (total of 80% off the list price). Previous low was $6 back in October, but normally sells for $30. The average price for this game in the past 6 months is $4.75. The game first became 50% off on Dec 24, 2014 at Green Man Gaming. Lowest historic price was $4.47 on Oct 6, 2015 at FunStock Digital. LEGO Batman 3: Beyond Gotham released back in November last year for $30 and is now hitting the $10 price point about six months later. Lowest price ever spotted today at Amazon for the PC Download (Steam Key). LEGO Batman 3: Beyond Gotham is out today. The best price on PC is a 33% discount in GMG's "VIP" sale. You're required to login or create an account to see the discount, but by far the lowest price you'll find online from a digitally authorized retailer. LEGO Batman 3: Beyond Gotham releases next week Tuesday and takes Batman INTO SPACE. GMG has the PC Download 33% off cutting the price from $30 to just over $20. Probably a fun title for LEGO and comic book fans. Out on 11/11, LEGO Batman 3: Beyond Gotham can be had for only $21.06 today after coupon at GMG. That's a solid 30% less than the $30 MSRP. Game activates on Steam. The average price for this game in the past 6 months is $4.75. The game first became 50% off on Nov 5, 2012 at Amazon. Lowest historic price was $3.74 on Sep 7, 2017 at GOG.com. This deal is wrong. The game is 20 dollars, the code is for 25% off which essentially is 5 dollars off making the game 15. Hey SpykeZ. Yeah you were looking at a instant savings which expired. The deal is back though and now even cheaper at $3.75 until Oct 25. Green Man Gaming's 30% off coupon stacks with instant savings, making new low prices on many games like the well-reviewed LEGO Batman. Elsewhere this game costs more than twice as much. Be Lego Batman for a day and fight off villains in Gotham City. With a short 6 hours playtime, finish up to 30 levels of the game, including secret level Wayne Manor and Arkham Asylum. Solve puzzles and levels to unlock Free Play mode. Occasionally build Lego objects to collect studs and unlock items. The Lego-rich environment is very interactive and this game tops the charts for an all-time favorite family game.